The Brayton has many faces. 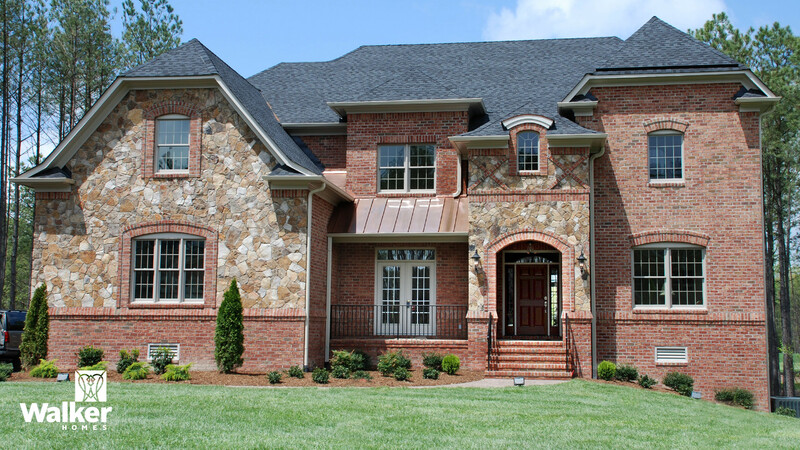 The beauty of custom home building is that we can change any plan and home facade to suit your individual taste and desires. 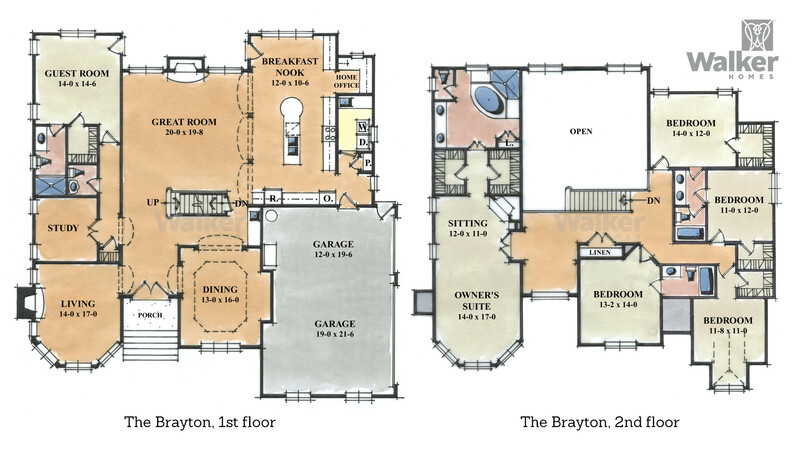 The Brayton’s grand brick facade carries through to the interior spaces–large, spacious rooms with lots of natural light make it the perfect home for entertaining. 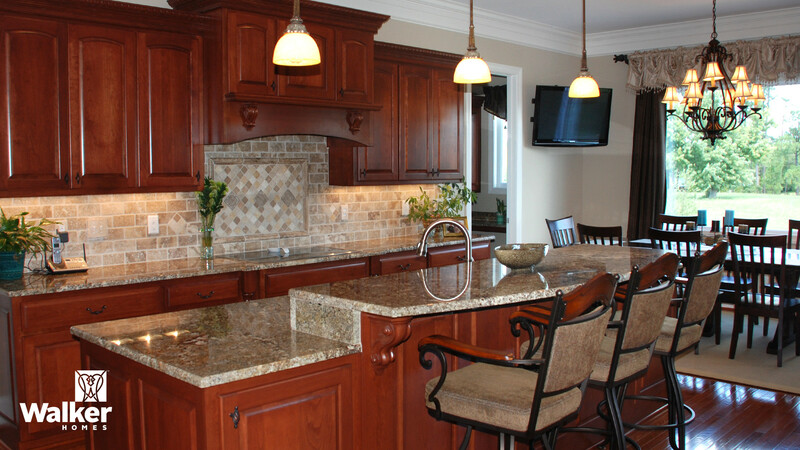 This Kitchen features a stone backslash, a mantle style cooktop hood, and a double-tiered island. 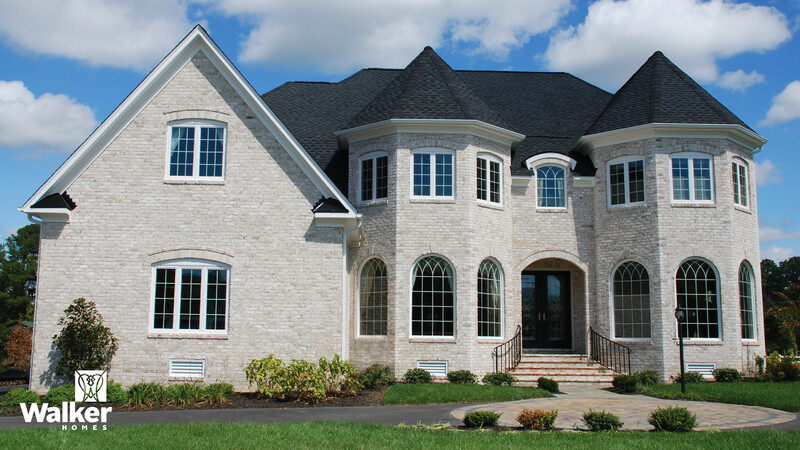 This version of the Brayton features a two story stone wall and a cast stone mantle. 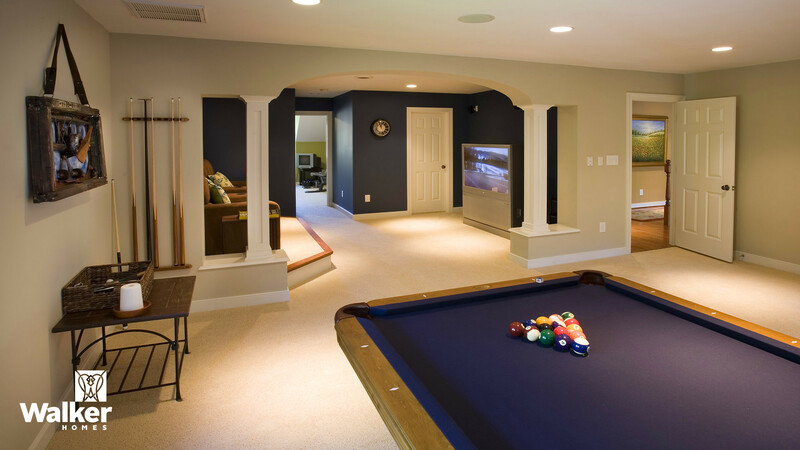 The Brayton has ample space for extras such as Media and Game Rooms. 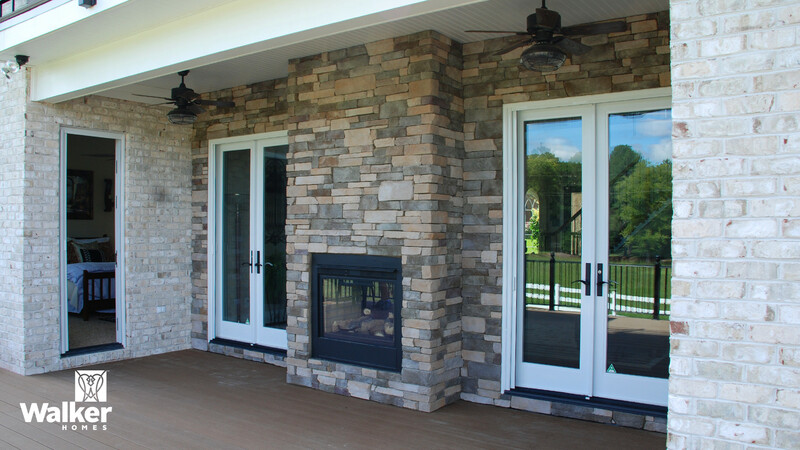 This variation of the Brayton features a Covered Porch with an indoor/outdoor fireplace. 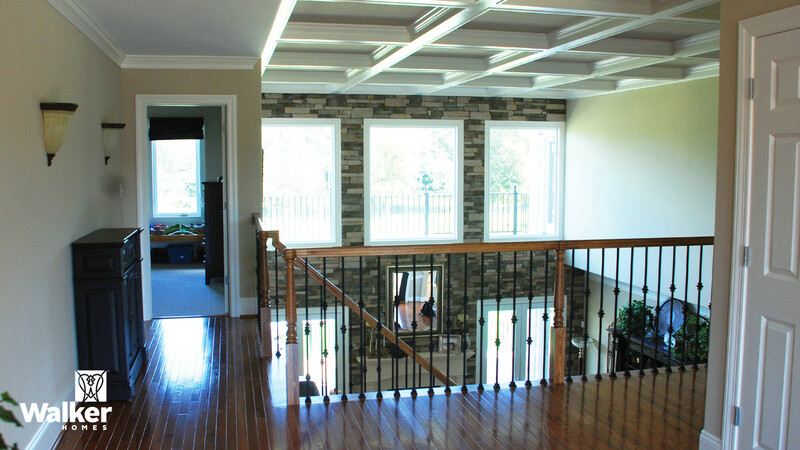 Above the Great Room is a sunny landing with a hardwood floor and a coffered ceiling (a popular option). 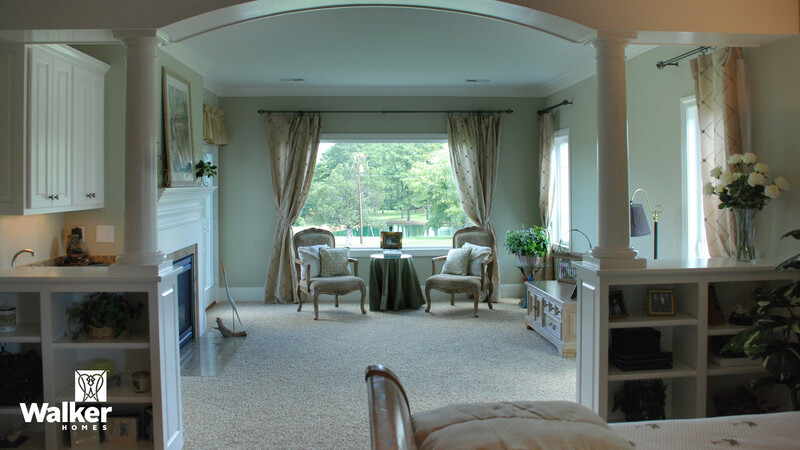 The Master Bedroom has an option for a sitting area compete with a fireplace and a large picture window. 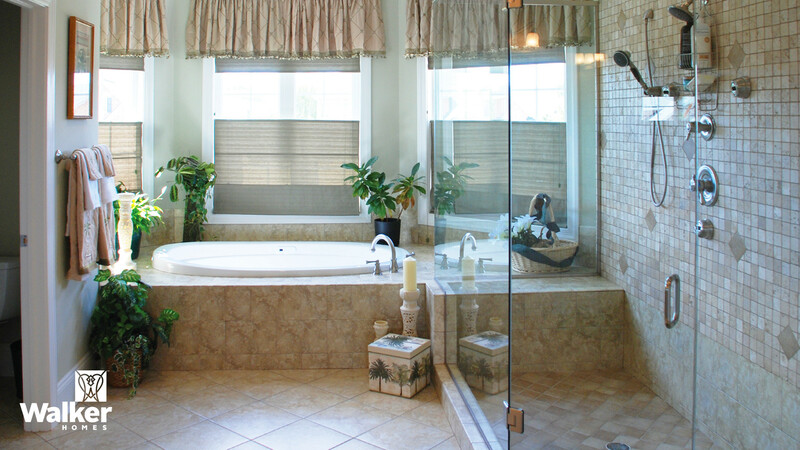 This variation of the Brayton’s Master Bath features a frameless shower surround with garden tub. We call this the Standard Brayton elevation. We call this variation of The Brayton, The Gables Cottage. 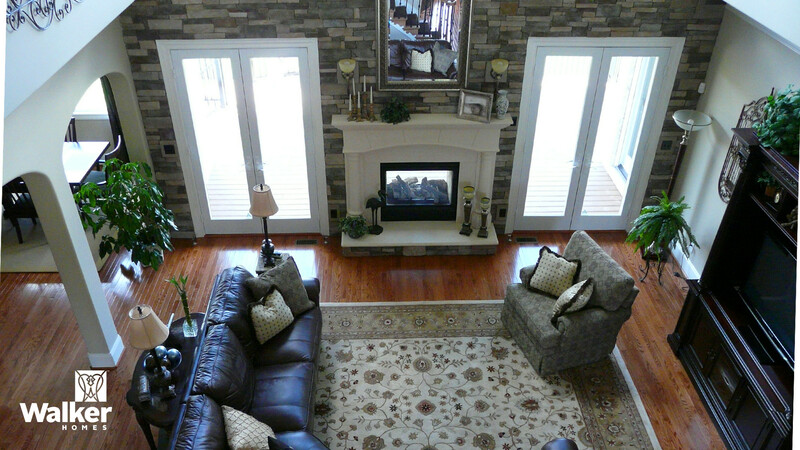 This is The Brayton Brick and Stone. We call this elevation of The Brayton, The Auburndale. The Brayton Castle version of the Brayton elevation features dual turrets. We call this elevation The Villandry—it features a stone and brick mix and a pyramid, shaped turret with a distinctive flared slope.